When will be Macy's Presents Fashion's Front Row next episode air date? Is Macy's Presents Fashion's Front Row renewed or cancelled? Where to countdown Macy's Presents Fashion's Front Row air dates? Is Macy's Presents Fashion's Front Row worth watching? Macy's Presents: Fashion's Front Row is a new annual event that began in 2015. Access to the star-studded Macy's fashion show, the stylish red carpet and all the after-party fun; backstage correspondent Zuri Hall. 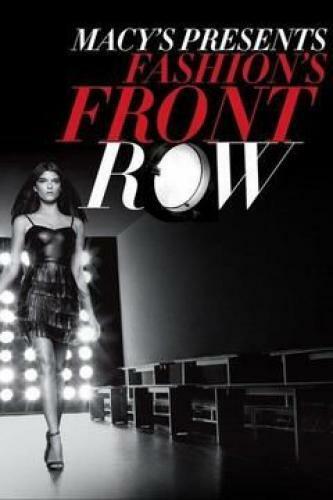 Macy's Presents Fashion's Front Row next episode air date provides TVMaze for you. EpisoDate.com is your TV show guide to Countdown Macy's Presents Fashion's Front Row Episode Air Dates and to stay in touch with Macy's Presents Fashion's Front Row next episode Air Date and your others favorite TV Shows. Add the shows you like to a "Watchlist" and let the site take it from there.